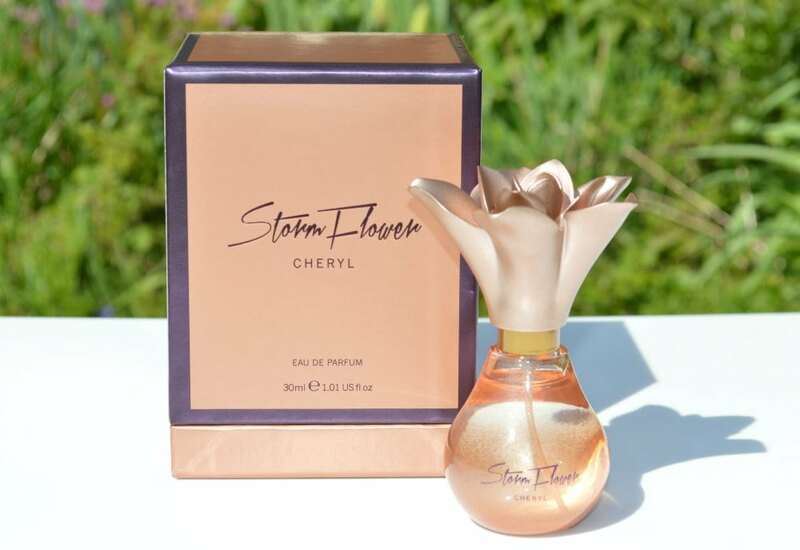 Cheryl StormFlower Eau De Parfum Review - Is it worth a try?! When it comes to fragrances, I prefer sweeter and woodier scents so I tend to enjoy quite a few celebrity fragrances such as Britney Spears Fantasy and Taylor Swift Wonderstruck, so when I saw the Cheryl StormFlower Eau de Parfum on offer for £6 on Amazon, I decided it was worth a try as the notes sounded like my ideal fragrance. I never normally buy fragrance before testing it first but seeing as it was so cheap, I thought it was worth the risk. StormFlower has top notes of nectarine and mandarin, an heart of freesia and peach blossom and a base of sandalwood, vanilla and white musk. The Cheryl StormFlower Eau De Parfum bottle is packaged within a bronze coloured box with a floral design, and the bottle itself is also bronze with a flower shaped lid. I’m not the biggest fan of the packaging, but I imagine it’s targeted for more teenagers than those in their late twenties. Unfortunately it’s not just the packaging I don’t like.. the perfume itself isn’t very nice either. It’s overwhelmingly sweet and I can only detect the nectarine and mandarin notes. To me (and those I’ve asked to try my bottle), StormFlower smells more like a air freshener than it does a perfume and I really dislike wearing it. I know it was my own fault taking a risk by buying it without trying it, but now I know why it was on offer for such a ridiculously low price, although the price appears to have increased slightly since I purchased it. I really don’t like being so negative about a product, but I would urge you to try the Cheryl StormFlower Eau De Parfum instore before purchasing it blindly online incase you dislike it as much as I do as I just can’t use it.